As a young girl, I remember creating projects and crafts for my mom ahead of Mother’s Day. Whether it was a simple homemade card or a handprint photo frame, my mother cherished those gifts, displaying them on our mantle at home and on her desk at work. Over thirty-five years of celebrating my mom each year means that it can become a challenge to think up new gift ideas. If you have the time and a bit of creativity, a DIY Mother’s Day gift is something mom will cherish forever. Irrespective of the cost, mom will know that you’ve spent time and effort crafting something personal and meaningful. 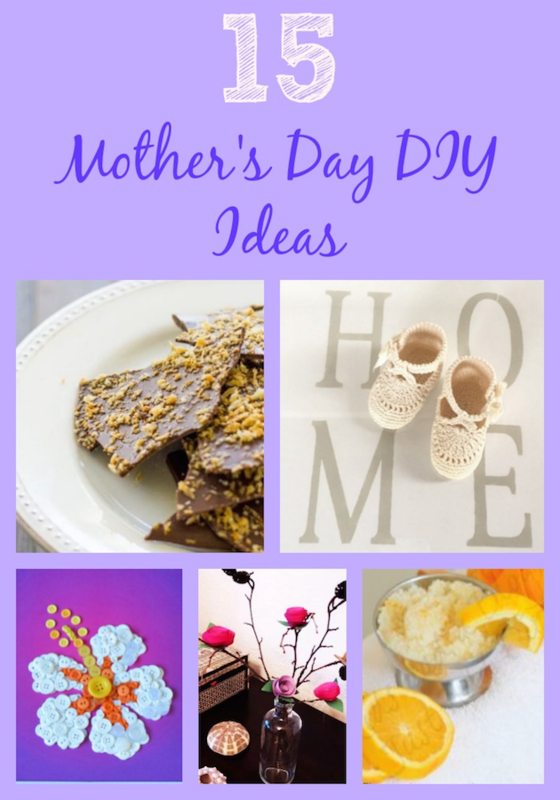 Celebrate mom with these 15 Mother’s Day DIY Gift Ideas! 1. 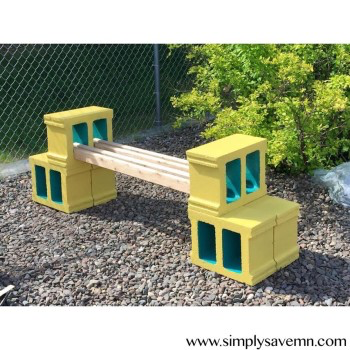 DIY Outdoor Cinder Block Bench: Entertaining this Summer? DIY this easy Cinder Block Bench for guests to sit around the fire pit. 2. 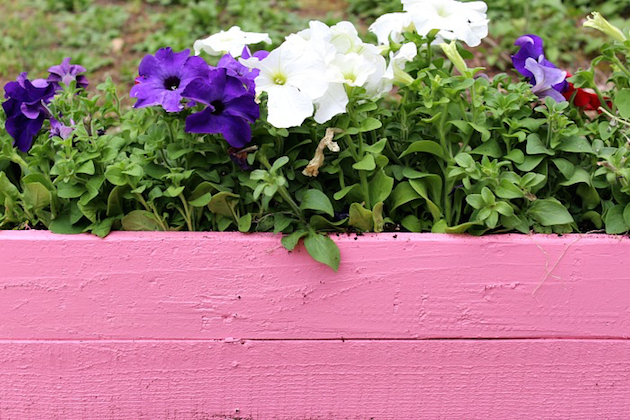 DIY Pallet Planter Box: With the weather warming up, now is the time to begin gardening! If you don’t have a yard or the space in your yard is too small, this DIY Planter Box is ideal. 3. 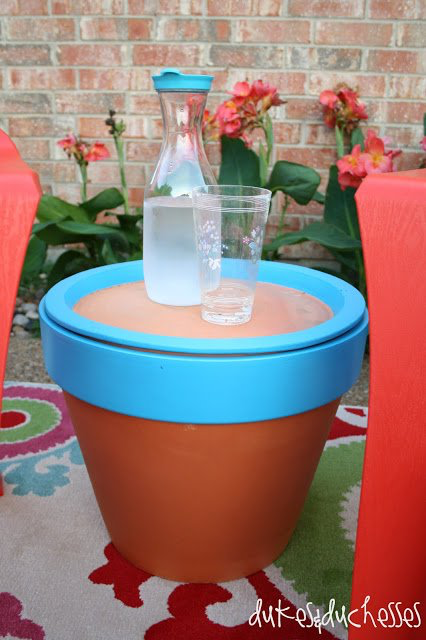 Terracotta Pot Table: This table serves as a storage table and makes for a hip patio or poolside decor. 4. 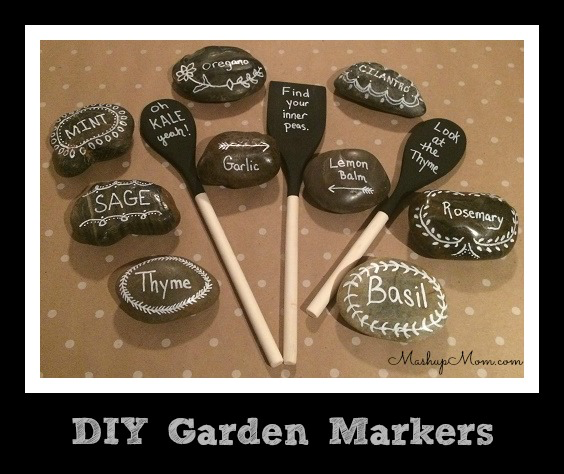 DIY Garden Markers: If mom has a green thumb, she’ll love these DIY Garden Markers. Help her remember what she has planted with this easy project. 5. 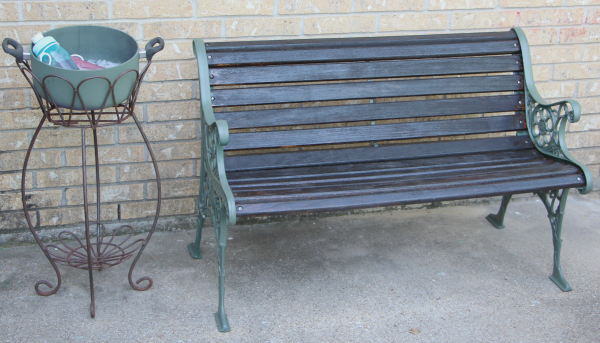 Patio Bench Refinishing Project: Is your patio bench in need of some TLC? Did you find one at a vintage store that you love but would like to refinish? This project takes some time but the result (a bench that looks like new!) is worth the investment. 6. 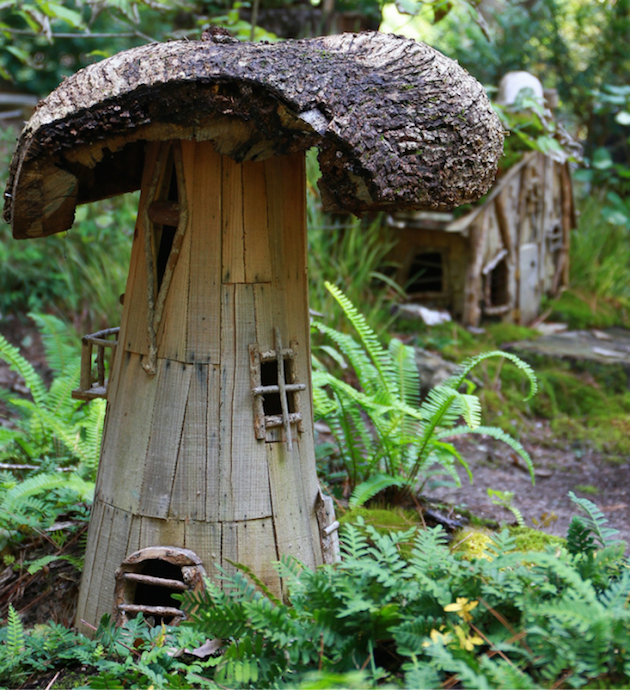 Fairy Garden: Add a spruce of imagination to your outdoor spaces with this easy Fairy Garden. 7. 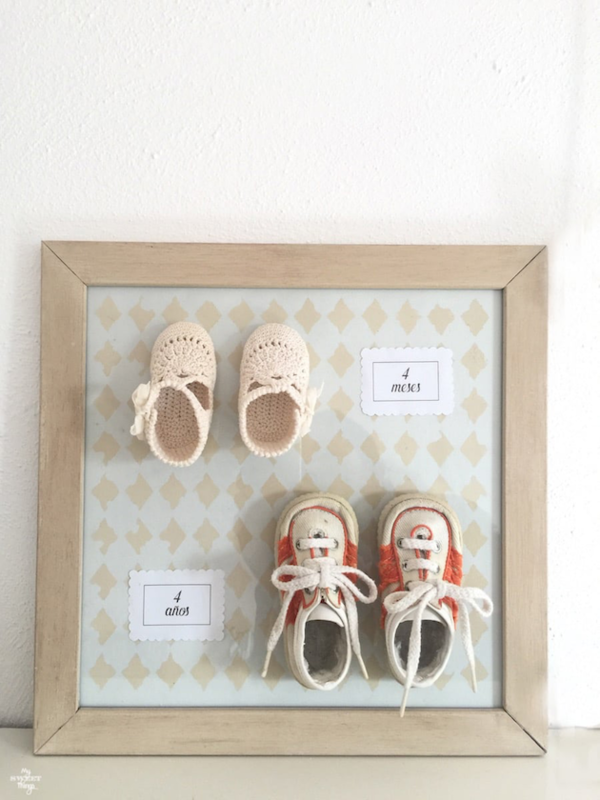 Upcycled Baby Shoes: Do you have a box of baby keepsakes stored under a bed or in a closet? Why not display them and celebrate that time in your child’s life. 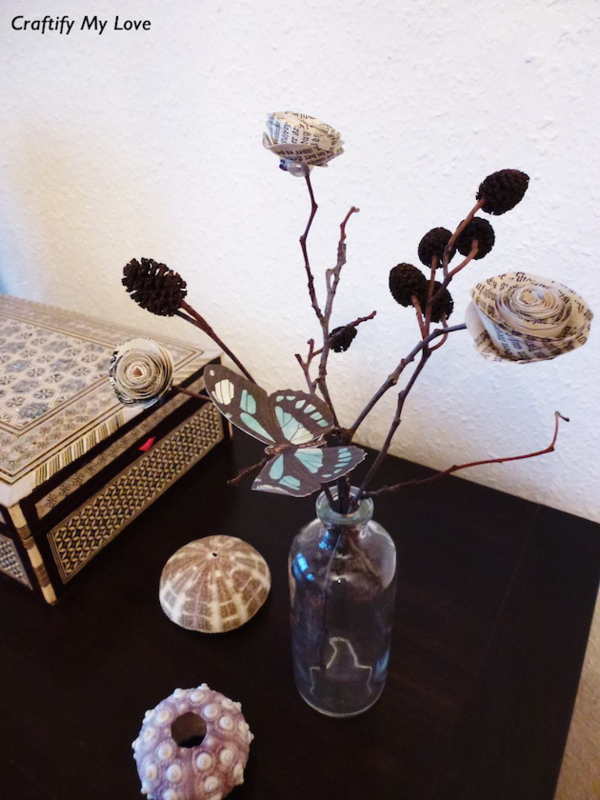 This project is adorable and makes for a memorable accent to your home decor. 8. Dark Chocolate Bark: Does that special mom in your life enjoy chocolate? 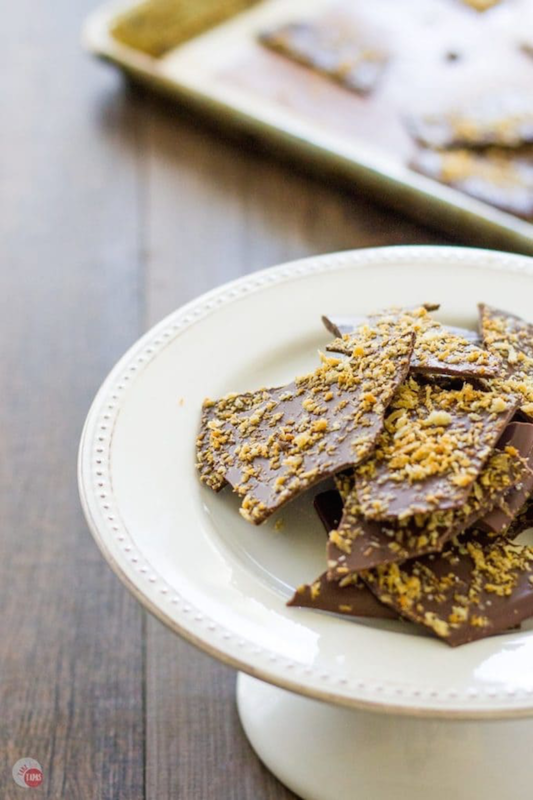 This easy Dark Chocolate Bark with a hint of sea salt can be gift wrapped for mom this Mother’s Day. 9. 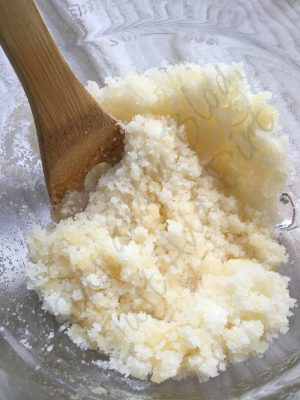 Orange Body Scrub: Pamper mom with this delightful, all-natural body scrub. Personalize it with her favorite scent and essential oils. 10. 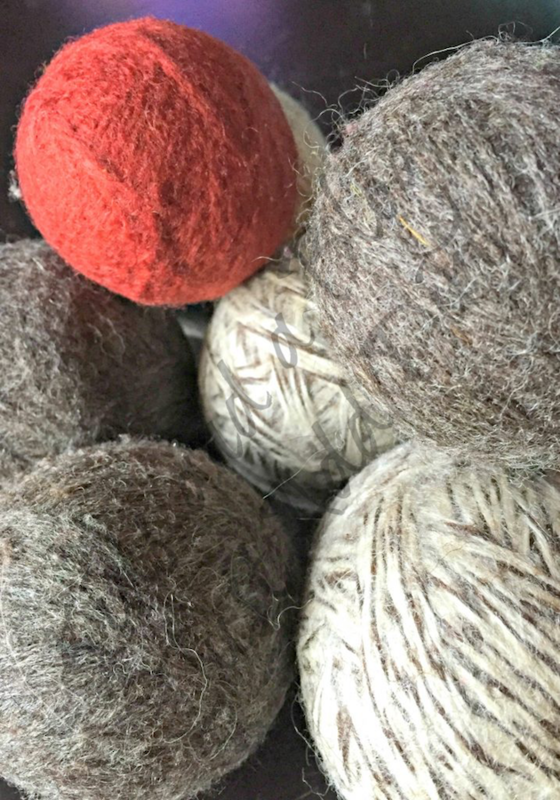 Homemade Dryer Balls: Do you love soft fluffy clothes without the risk of fire or waste? DIY your own dryer balls, perfect for that special mom in your life. You can opt to add scent with essential oils, if desired. 11. 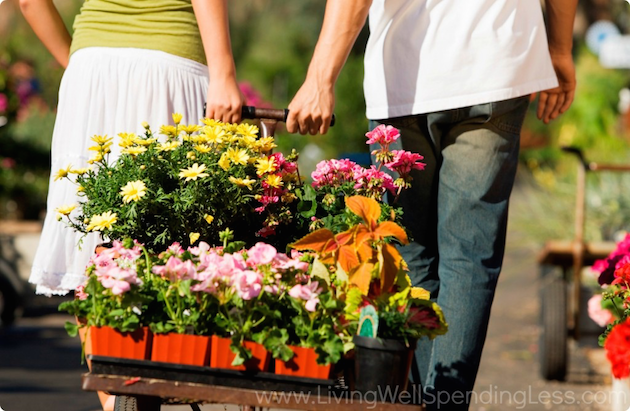 DIY Container Garden: Do you love the idea of a garden but are limited on space? Or do you want something small that fits into your busy schedule? Why not start with a container garden. This also makes a wonderful gift for that mom in your life who enjoys plants. 12. Ever-Blooming Rose Bush: Rather than getting mom a bouquet that will only last a few days, gift her this ever-blooming rose bush, made from paper flowers. 13. 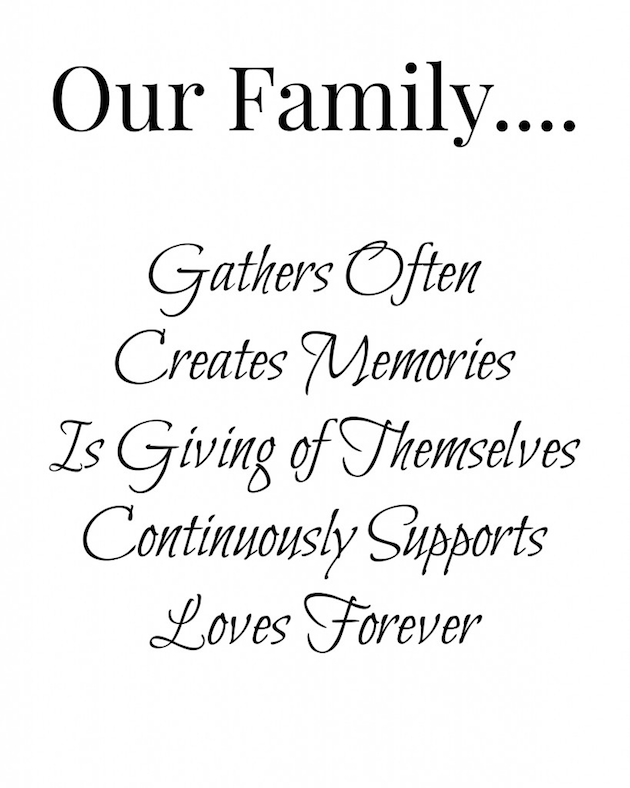 Family Printable Art: Even if you’re short on time, you can still gift this Family Printable Art. Simply visit My Heavenly Recipes to download the printable, then place in a frame and gift wrap this Mother’s Day. 14. DIY Button Art: If you have a young child, consider creating a gift together. This DIY Button Art craft is perfect for young kids with adult assistance and the time you spend together will be the highlight of this Mother’s Day. 15. 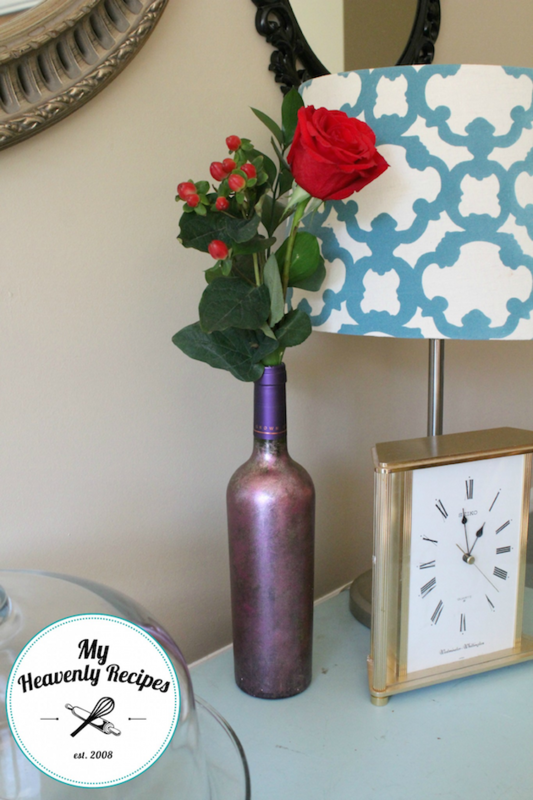 DIY Painted/Decorated Wine Bottle: Personalize that perfect bottle of wine with metallic spray paint and a personal hand tag.